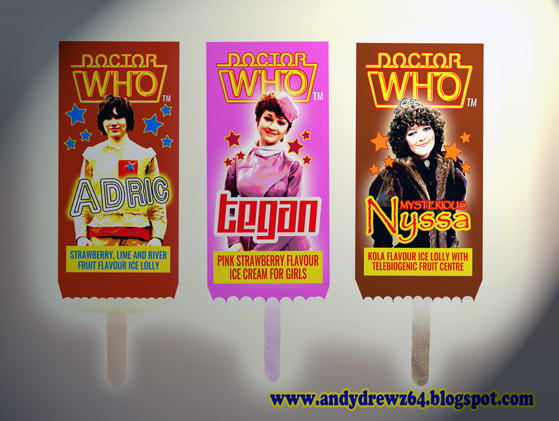 Andydrewz's Pages: Doctor Who Ice Lollies - Direct from 1982! 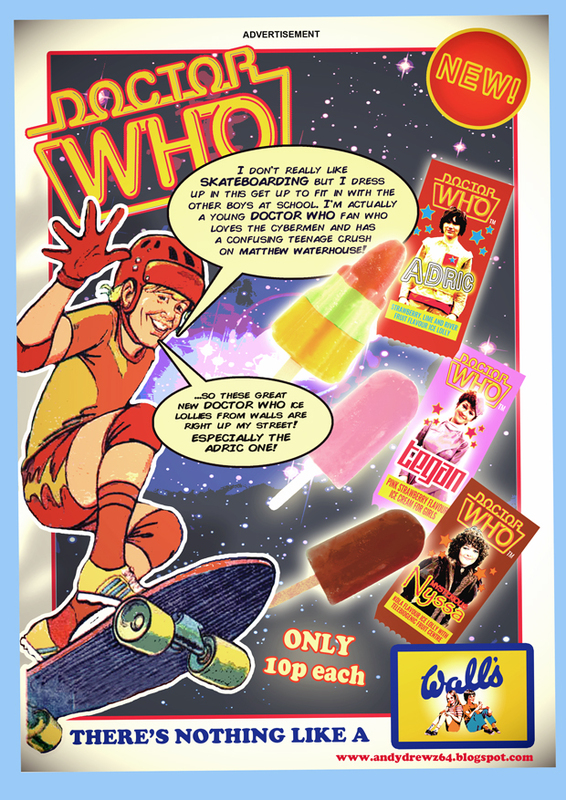 I think you need to add warnings to the backs. NYSSA: Do not remove wrapping for gratuitous reasons. ADRIC: If lolly is dropped to Earth, you can't just go back and pick it up.